We are committed to providing the highest quality clinical care and personalized service in a fun, friendly atmosphere. Dr. Timmons and the staff at Timmons Orthodontics enjoy getting to know each patient and their family. We love to create long-lasting relationships while creating beautiful smiles. Dr. Timmons is committed to excellence and strives to give every patient the absolute best orthodontic result possible. Dr. Timmons is the most persistent and patient person you will ever meet, and he never gives up. The final result is much more than most of our patients ever thought possible for their teeth. Dr. Timmons believes in providing a balance of traditional, time-tested techniques with newer methods and technologies, selecting only the best of both for his patients. Parents and patients will also be reassured by the level of expertise of our friendly and highly experienced staff. Much More Than a Beautiful Smile! Most patients primarily seek orthodontic treatment to improve just the appearance of their teeth, and therefore, most orthodontists mainly focus on just creating a nice smile. Dr. Timmons, on the other hand, believes the foundation of proper orthodontic treatment is creating teeth that fit together and function properly (the ideal bite). Creating the ideal bite means improved oral health, less long-term tooth wear, a decrease in the likelihood of future dental work needed, less stress on the jaw joint, and less potential TMJ problems. 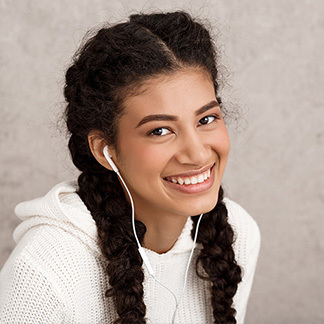 Patients can have a pretty smile without the teeth fitting together properly, but at Timmons Orthodontics we give our patients an ideal bite while also giving them a beautiful smile they can be proud of for a lifetime! There are no assembly lines and no cookie cutter results here! Dr. Timmons tailors each treatment plan to the individual needs of the patient. Dr. Timmons also spends significant time with each patient at every single appointment to make sure patients receive the best orthodontic treatment anywhere in Central Arkansas. We believe in providing optimal treatment results, but we recognize that the experience of orthodontic treatment is important too. That’s why we customize treatment plans for each individual and each family's goals and expectations. Dr. Timmons will sit down with you at your initial consultation to discuss your goals and expectations, and he will design an orthodontic treatment plan to meet your specific goals. We are especially attentive to individual needs and do our best to be helpful with insurance, flexible payment options, and any special needs that our patients and families may have. Your beautiful new smile starts here! We look forward to working with you and to being a part of this life-changing experience. Please contact our office to schedule a complimentary orthodontic consultation. Your lifetime of beautiful smiles starts here!